Successfully Added Meizu M3S Android Smartphone - MTK6750 CPU, Android OS, 3GB RAM, Fingerprint Scanner, 4G, 5 Inch Screen (Silver) to your Shopping Cart. The Meizu M3S Android phone is a beautifully designed Android phone that does not only look stunning to the eye but also comes packed with some sophisticated hardware that lets you enjoy the latest media and mobile features the industry has to offer. With its stylish aluminum alloy body and all-in-one navigation button that simultaneously functions as a fingerprint scanner, this 5-Inch Android phone certainly holds the look of a high-end device. Its 5-Inch HD display adds further beauty to its already stunning design by providing clear visuals and vivid color. No matter the purpose for what you’ll use this beautiful Chinese smartphone, the Meizu M3S is guaranteed to meet your demands and fit the likings of everybody out there. Featuring an Octa-Core CPU that has been clocked at 1.5GHz, the Meizu M3S Android phone is fully capable of handling the latest mobile media, games, and applications without dropping a frame. With 32GB or internal memory and 128GB of external data support, this Chinese Android phone packs enough storage for you to safely store all your files, games, and media alike – providing you with the possibility to carry along a year’s worth of entertainment inside your pocket at any time. Besides its powerful processor this, 5-Inch Android smartphone furthermore packs 3GB of RAM that opens up the doors for excessive multitasking. Whether you like to enjoy the latest games, demanding applications, or simply browse the web – there is nothing that will slow down this powerful Android phone. At the rear of this Chinese smartphone, you’ll be able to find an absolutely stunning 13MP camera that lets you shoot breathtaking pictures and Full-HD video of all your upcoming events, parties, and holidays. With this professional-grade camera in your pocket, you can be assured that not a single special moment in life will ever be forgotten again as, from now on, not a single moment worth sharing will pass by stay uncaptured. The phone’s 4G support and Dual-Band Wi-Fi furthermore allow you to instantly share all your pictures and video and additionally let you browse the web at lightning speeds wherever you are. With its Dual-SIM card slots and two IMEI numbers, this 5-Inch Android smartphone lets you be connected to two network providers simultaneously and additionally allows you to be reachable on two phone numbers at the same time. Bringing along great connectivity, the Meizu M3S assures that, no matter where life will take you, you will always stay connected to all your friends, family, and loved ones back home. 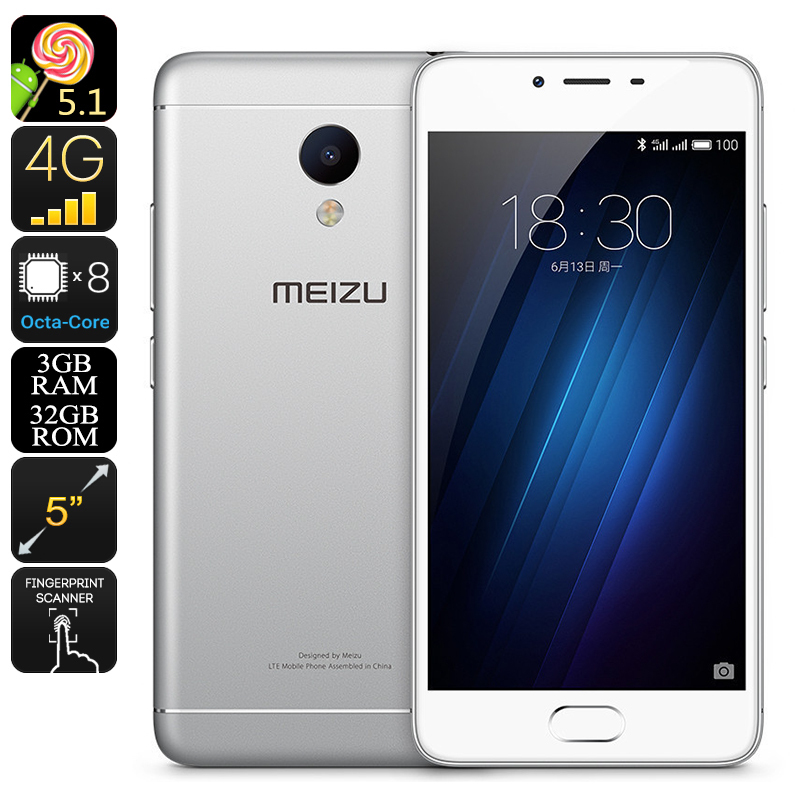 The Meizu M3S Android phone comes with a 12 months warranty, brought to you by the leader in electronic devices as well as wholesale electronic gadgets..